NextDealAddict applies the smartest e-commerce technology to make the consumer shopping experience easy, efficient and fun: find the ideal price for Tron Time Delay Fuse at the most trusted online store. 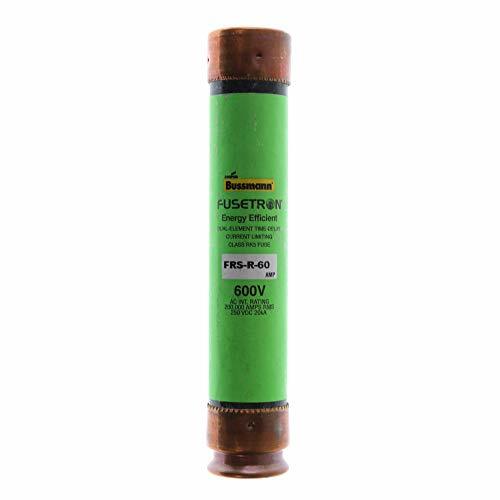 Cooper Bussmann time delay fuse, energy efficient, non-indicating, series: fuse international, FRS-R, 20 a, 600 vac/300 vdc, 200 ka at 600 vac, 20 ka at 300 vdc interrupt, class: RK5, 10 sec at 500% response, ferrule, cylindrical, rejection body, dual element, fiberglass, brass end cap, 0.81 in diameter, 5 in length, fuse holder code: p, combination starters. 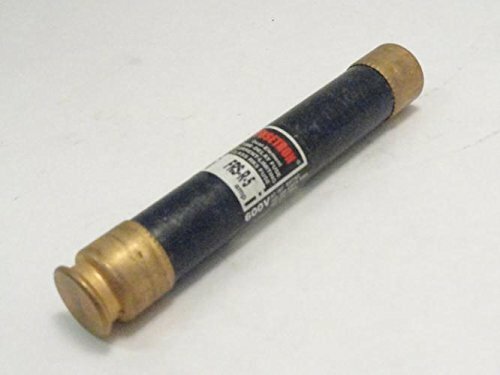 Cooper Bussmann time delay fuse, energy efficient, non-indicating, series: fuse international, FRS-R, 15 a, 600 vac/300 vdc, 200 ka at 600 vac, 20 ka at 300 vdc interrupt, class: RK5, 10 sec at 500% response, ferrule, cylindrical, rejection body, dual element, fiberglass, brass end cap, 0.81 in diameter, 5 in length, fuse holder code: p, combination starters. Cooper Busman Time Delay Fuse, Energy Efficient, Non-Indicating, Series: Fuse Tron, FRS-R, 60 A, 600 VAC/250 VDC, 200 kA at 600 VAC, 20 kA at 300 VDC Interrupt, Class: RK5, 10 sec at 500% Response, Ferrule, Cylindrical, Rejection Body, Dual Element, Fiberglass, Brass End Cap, 1.06 in Diameter, 5-1/2 in Length, Fuse Holder Code: Q. Cooper Busman Time Delay Fuse, Energy Efficient, Non-Indicating, Series: Fuse Tron, FRS-R, 15 A, 600 VAC/300 VDC, 200 kA at 600 VAC, 20 kA at 300 VDC Interrupt, Class: RK5, 10 sec at 500% Response, Ferrule, Cylindrical, Rejection Body, Dual Element, Fiberglass, Brass End Cap, 0.81 in Diameter, 5 in Length, Fuse Holder Code: P, Combination Starters. 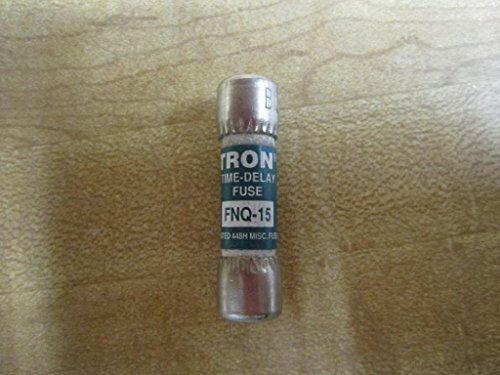 30A, type frs-r, cartridge fuse, time delay, fuse Tron, 600V, dimensions: 2.0"L x 0.6"W x 0.6"H, carded. 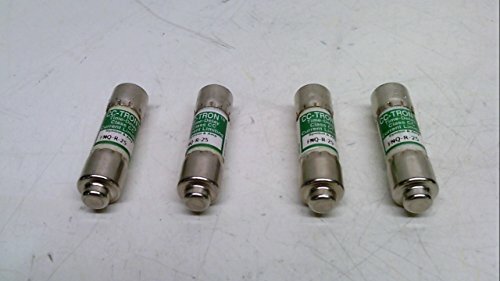 Cooper Bussmann time delay fuse, energy efficient, non-indicating, series: fuse international, FRS-R, 15 a, 600 vac/300 vdc, 200 ka at 600 vac, 20 ka at 300 vdc interrupt, class: RK5, 10 sec at 500% response, ferrule, cylindrical, rejection body, dual element, fiberglass, brass end cap, 0.81 in diameter, 5 in length, fuse holder code: p, combination starters. 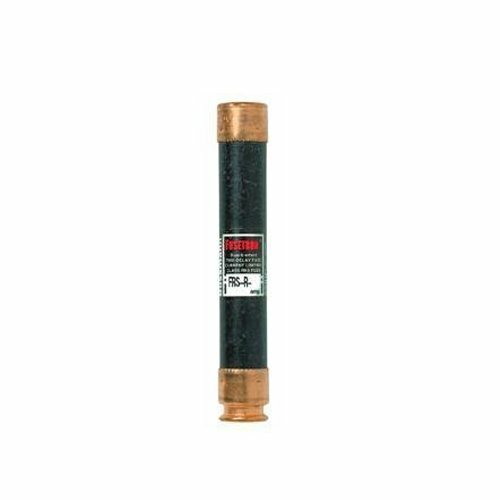 Cooper Bussmann time delay fuse, energy efficient, non-indicating, series: fuse international, FRS-R, 15 a, 600 vac/300 vdc, 200 ka at 600 vac, 20 ka at 300 vdc interrupt, class: RK5, 10 sec at 500% response, ferrule, cylindrical, rejection body, dual element, fiberglass, brass end cap, 0.81 in diameter, 5 in length, fuse holder code: p, combination starters. Cooper Busman Time Delay Fuse, Energy Efficient, Non-Indicating, Series: Fuse Tron, FRS-R, 25 A, 600 VAC/300 VDC, 200 kA at 600 VAC, 20 kA at 300 VDC Interrupt, Class: RK5, 10 sec at 500% Response, Ferrule, Cylindrical, Rejection Body, Dual Element, Fiberglass, Brass End Cap, 0.81 in Diameter, 5 in Length, Fuse Holder Code: P, Combination Starters. 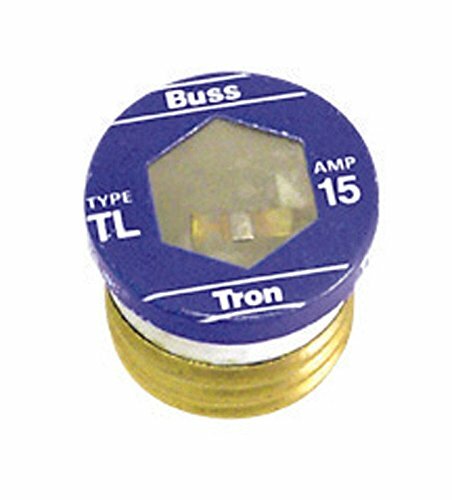 Cooper Busman Time Delay Fuse, Energy Efficient, Non-Indicating, Series: Fuse Tron, FRS-R, 15 A, 600 VAC/300 VDC, 200 kA at 600 VAC, 20 kA at 300 VDC Interrupt, Class: RK5, 10 sec at 500% Response, Ferrule, Cylindrical, Rejection Body, Dual Element, Fiberglass, Brass End Cap, 0.81 in Diameter, 5 in Length, Fuse Holder Code: P, Combination Starters. 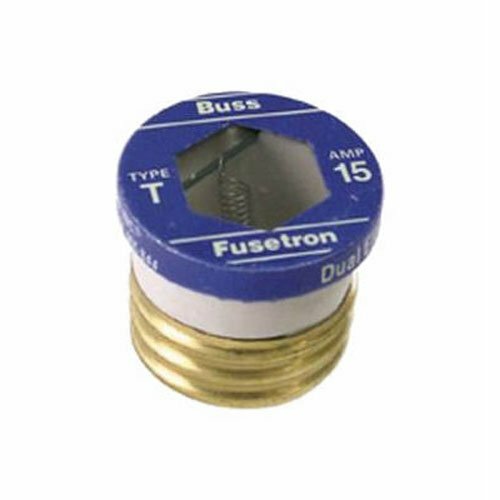 Cooper Busman Time Delay Supplemental Fuse, Non-Indicating, Series: Fuse Tron, FNM, 20 A, 250 VAC, 200 A at 250VAC, 10 kA at 125VAC Interrupt, Class: Midget, Ferrule, Cylindrical, Rejection Body, Dual Element, Melamine Tube, Nickel Plated Bronze End Cap, 13/32 in Diameter, 1-1/2 in Length, Green, CE, CSA Certified, RoHS Complaint, UL Listed. ' 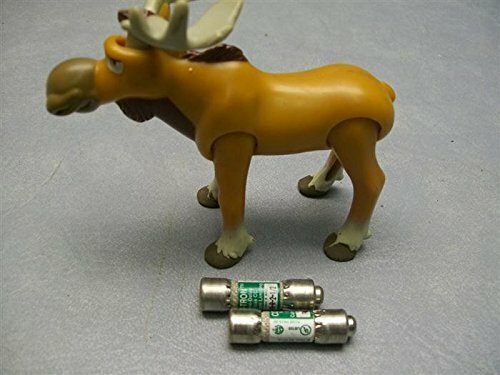 Fuse, 20A Fuse Amps, No indicating, FNM Series, 250VAC Voltage Rating, Class Midget, Dual Element, Body Material Fiberglass, Body Style Cylindrical, No rejection, Interrupt Rating 10kA at 250VAC, Length 1-1/2 In., Diameter 13/32 In., Functionally Equal To Mersen/Ferraz Shawmut TRM, Littelfuse FLM, Standards CE, UL-248-14 Guide JDYX, CSA Class 1422-01 '. 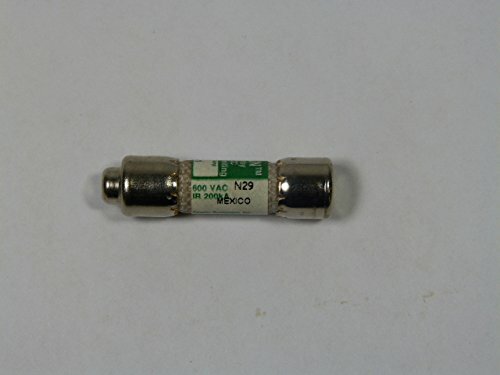 Pack of 2, 15A, Type T Plug Fuse, Time Delay Fusetron, Dimensions: 2.75"L x 1.375"W x 0.625"H, Carded. Heavy duty dual-element construction for motor circuits. Edison base threads into non-rejection fuse receptacles. Superior overload and short-circuit protection. Cooper Busman Time Delay Fuse, Energy Efficient, Non-Indicating, Series: Fuse Tron, FRS-R, 30 A, 600 VAC/300 VDC, 200 kA at 600 VAC, 20 kA at 300 VDC Interrupt, Class: RK5, 10 sec at 500% Response, Ferrule, Cylindrical, Rejection Body, Dual Element, Fiberglass, Brass End Cap, 0.81 in Diameter, 5 in Length, Fuse Holder Code: P, Combination Starters. Value not found. 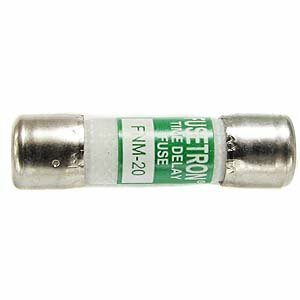 BUSSMANN FNQ-15 - 15 Amp Tron Time-Delay Supplementary Cartridge Fuse 500V Ul Listed (Pack of 1). Cooper Bussmann FNQ-15. Cooper Busman Time Delay Fuse, Energy Efficient, Non-Indicating, Series: Fuse Tron, FRS-R, 5 A, 600 VAC/300 VDC, 200 kA at 600 VAC, 20 kA at 300 VDC Interrupt, Class: RK5, 10 sec at 500% Response, Ferrule, Cylindrical, Rejection Body, Dual Element, Fiberglass, Brass End Cap, 0.81 in Diameter, 5 in Length, Fuse Holder Code: P, For Power Panel boards. Cooper Busman Time Delay Fuse, Energy Efficient, Non-Indicating, Series: Fuse Tron, FRS-R, 5 A, 600 VAC/300 VDC, 200 KA At 600 VAC, 20 KA At 300 VDC Interrupt, Class: RK5, 10 Sec At 500% Response, Ferrule, Cylindrical, Rejection Body, Dual Element, Fiberglass, Brass End Cap, 0.81 In Diameter, 5 In Length, Fuse Holder Code: P, For Power Panel boards. 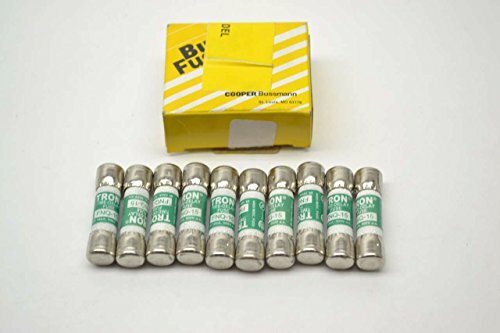 Cooper Bussmann time delay supplemental fuse, non-indicating, series: fuse international, FNM, 10 a, 250 vac, 200 a at 250Vac, 10 ka at 125Vac interrupt, class: Midget, ferrule, cylindrical, rejection body, dual element, melamine tube, nickel plated bronze end cap, 13/32 in diameter, 1-1/2 in length, Green, ce, CSA certified, rohs complaint, UL listed. 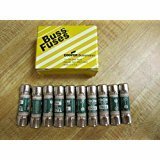 Busman by Eaton abc-1/10-r buss small dimension fuse. Cooper Bussmann made in USA. Cooper Busman Time Delay Fuse, Energy Efficient, Non-Indicating, Series: Fuse Tron, FRS-R, 50 A, 600 VAC/250 VDC, 200 kA at 600 VAC, 20 kA at 300 VDC Interrupt, Class: RK5, 10 sec at 500% Response, Ferrule, Cylindrical, Rejection Body, Dual Element, Fiberglass, Brass End Cap, 1.06 in Diameter, 5-1/2 in Length, Fuse Holder Code: Q. Cooper Busman Time Delay Fuse, Energy Efficient, Non-Indicating, Series: Fuse Tron, FRS-R, 15 A, 600 VAC/300 VDC, 200 kA at 600 VAC, 20 kA at 300 VDC Interrupt, Class: RK5, 10 sec at 500% Response, Ferrule, Cylindrical, Rejection Body, Dual Element, Fiberglass, Brass End Cap, 0.81 in Diameter, 5 in Length, Fuse Holder Code: P, Combination Starters. 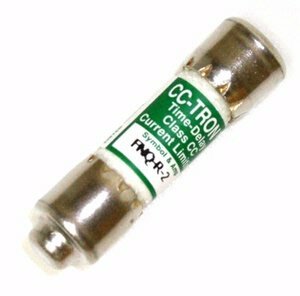 Customers who bought Tron Time Delay Fuse also bought Hp Q6003a Yellow Toner, Reg 14 Piece, Wool Slim Pant - you may also be interested in these popular items.